WASHINGTON (AP) — Displaying a thin grasp of science, President Donald Trump questioned the reality of global warming because it was cold outside. Then came a federal report laying out the severe consequences of climate change and rebutting the notion that a frigid snap means it isn’t happening. Sizing up the U.S.-Mexico border, Trump declared he had closed it this past week and mandated that “no one’s coming in.” Actually, one crossing from Mexico, among dozens that stayed open, was partially closed before rush hour and pedestrians still had access to the U.S. during that time. 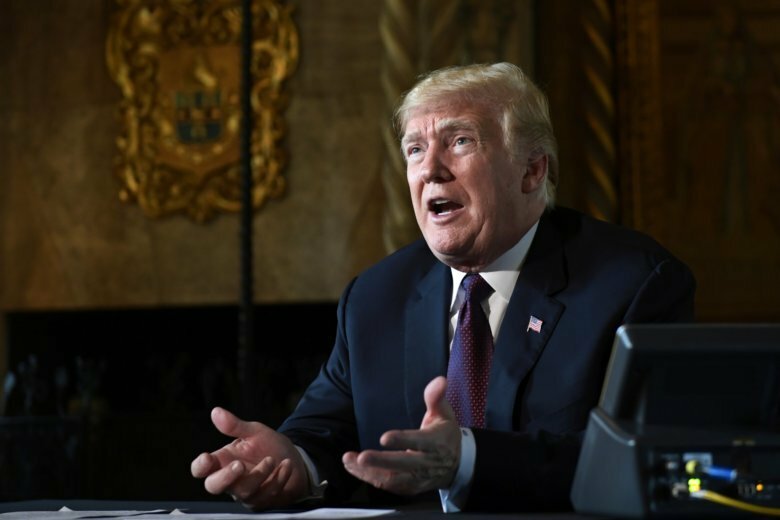 Before and throughout his Thanksgiving vacation in Florida, Trump took no holiday from twisting facts across a broad front — on Saudi Arabia, the recent election and the 2001 terrorist attacks among the topics. On Friday, the White House produced the National Climate Assessment by scientists from 13 Trump administration agencies and outside scientists. It amounted to a slap in the face for those who doubt the climate is changing. “Climate change is transforming where and how we live and presents growing challenges to human health and quality of life, the economy, and the natural systems that support us,” the report says. It details how global warming from the burning of coal, oil and gas is hurting each region of U.S. and different sectors of the economy. The report also projects increased deaths and disease. The federal climate assessment is mandated by law every few years. TRUMP: “Two days ago, we closed the border. We actually just closed it. We’re saying, nobody is coming in, because it was out of control.” — remarks to reporters Thursday. THE FACTS: By no means did he seal the border. On Monday, the U.S. closed northbound traffic lanes for a few hours at the San Ysidro, California, crossing to install new barriers. It’s the busiest of more than 40 U.S.-Mexico crossings. That work was completed and the lanes reopened before the morning rush of commerce and commuters who work legally in the U.S. Officials also closed one pedestrian crossing facility at San Ysidro and left the other open, so it’s not true that everyone was blocked from coming in, even at that one crossing. U.S. authorities acted out of concern that migrants gathered on the Mexican side might bolt for the U.S. THE FACTS: Trump is wrong in suggesting that rulings by the 9th U.S. Circuit Court of Appeals in San Francisco are reversed by the Supreme Court more frequently than those of any other federal appeals court. His description of the “shocking” number of overturned cases in the 9th Circuit belies the nature of the appeals system. THE FACTS: Trump is exaggerating the vote margin of Scott’s victory as being “a lot” and suggesting without evidence that his own efforts prevented Democrats from engaging in voter fraud. TRUMP: “The country of Iran, as an example, is responsible for a bloody proxy war against Saudi Arabia in Yemen, trying to destabilize Iraq’s fragile attempt at democracy, supporting the terror group Hezbollah in Lebanon, propping up dictator Bashar Assad in Syria (who has killed millions of his own citizens), and much more.” — statement Tuesday. THE FACTS: He’s inflating the already staggering number of Syrians killed in more than seven years of civil war. Syrian government forces, led by President Bashar Assad and backed by Russia and Iran, have retaken most of the territory rebels seized during a war that has killed nearly 500,000 people, according to estimates by United Nations and human rights groups. THE FACTS: Merely thanking Saudi Arabia for lower oil prices is a gross oversimplification. Oil prices, which peaked Oct. 3, have been falling on the realization that U.S. sanctions against Iran would not create a shortage and on fear that slower economic growth internationally will depress energy demand. Although the U.S. is now the world’s biggest oil producer, Saudi Arabia remains the biggest exporter, and as a so-called swing producer with the ability to adjust production up or down relatively quickly, it can indeed influence the price of crude. But the market is far more complex than Trump suggests. Canada is actually the leading source of U.S. oil imports, for example, with Saudi Arabia second. TRUMP: “Of course we should have captured Osama Bin Laden long before we did. I pointed him out in my book just BEFORE the attack on the World Trade Center. President Clinton famously missed his shot. We paid Pakistan Billions of Dollars & they never told us he was living there. Fools!” — tweet Monday. Associated Press writers Seth Borenstein, Robert Burns and Josh Boak in Washington, Jill Colvin in Palm Beach, Florida, and David Koenig in Dallas contributed to this report.